A new treatment for adults with iron deficiency anaemia (IDA) and inflammatory bowel disease (IBD), who have previously failed on oral iron (ferrous) products, has been launched in the UK. Ferric maltol (Feraccru), by Shield Therapeutics PLC, is a novel and effective oral ferric treatment for IDA and provides a new oral ferric alternative for adult IBD patients with IDA who have failed oral ferrous products and is a well-tolerated oral alternative to intravenous (IV) iron in mild-moderate IBD patients. The symptoms of IDA in IBD (e.g. fatigue) can have a significant impact on patients’ activities of daily living, including their ability to work. An estimated 300,000 people in the UK have IBD. 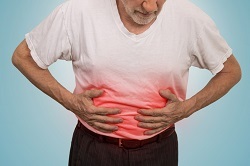 IDA is the most common non-intestinal symptom of the disease and affects from 36-76% of patients. The British Society of Gastroenterology guidelines recommend iron supplementation to correct IDA and replenish iron stores in all patients. Data from the company’s prospective, randomised, placebo controlled “AEGIS” clinical programme of adult patients with IDA secondary to IBD and for whom treatment with oral ferrous products was unsuccessful, showed ferric maltol to be an effective and well-tolerated treatment comparable to a placebo. Statistically significant improvements in haemoglobin were identified, after 12 weeks of treatment with oral ferric maltol (30mg twice a day) [2.25 (0.19) g/dL (p < 0.0001). Throughout the 64-week study period, median compliance to the prescribed therapeutic regimen was 97%. Dr Tariq Iqbal, Consultant Gastroenterologist, Queen Elizabeth hospital, Birmingham, said: ‘‘There is a real unmet need for a well-tolerated oral iron replacement for IBD patients with IDA who have failed oral ferrous products. Oral ferrous treatments aren’t well-tolerated and patients often don’t adhere to treatment; this limits their efficacy. The availability of Feraccru is an important step in helping to fulfil this unmet need and may help reduce the need to progress to IV iron treatments.